Head Games is a film to watch – The brain is sooooo cool! 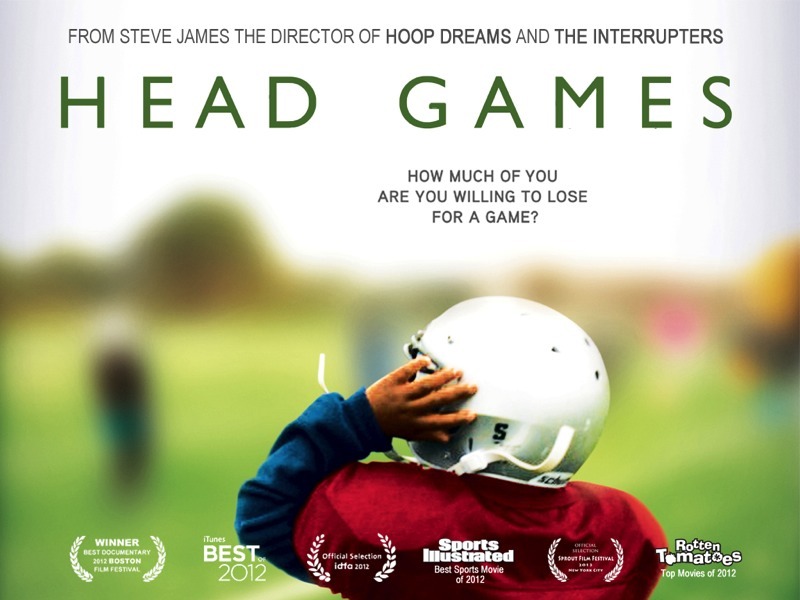 Head Games is a documentary film about head trauma in sports, including American football, soccer, and hockey. It is directed by Steve James and produced by Bruce Sheridan. Head Games is a powerful film that lays out the history of head trauma, concussions and the NFL within the context of other organized and professional sports. Watching the film, I was struck by the rapid progress in awareness and knowledge that has been made since 2006. Prior to 2006, dementia pugilistica was the term used to refer to what was thought to be a rare condition suffered by a small number of ex-boxers. Essentially, having your clock rung during sports was just a fact of life and a rite of passage. Then in late 2006, Andre Waters, a NFL star, committed suicide. Chris Nowinski, a former Harvard football player and WWE wrestler, obtained permission from Mr Waters’ family to have his brain examined. It turned out that Mr Waters had the “brain of an 80+ yr old;” he had chronic traumatic encephalopathy or CTE. Having retired from wrestling because of post-concussion syndrome, Mr Nowinski pursued the connection between football and brain injury. He wrote a book upon which this film is based and Mr Nowinski figures prominently in the film as well. The reality of how devastating hits to the head can be is brought home as the viewer painfully watches a relatively young (in his late 40s when the film was shot) retired football player, Gene Atkins, struggle to name the months of the year in order. Long pauses belie his utter failure to retrieve up this basic semantic knowledge. Bob Costas asks what is an acceptable level of risk. He goes on to make the excellent point that “hitting is incidental in other sports but is fundamental in [American] football. In one section of the film, we watch Dr Ann McKee of Boston University School of Medicine tell the widow of a football player that her husband had the “structural” signs of CTE. When asked how that information made her feel, the widow offers that she finds it both comforting and guilt-producing; the latter as she remembers getting angry with her husband who she now knows had CTE. I can only imagine the experience of CTE creeping in as a full-blown civil war between the brain of the past and the diseased brain. Although not featured in Head Games, Dave Duerson comes to mind. Mr Duerson was, by all accounts, brilliant as well as well-liked. 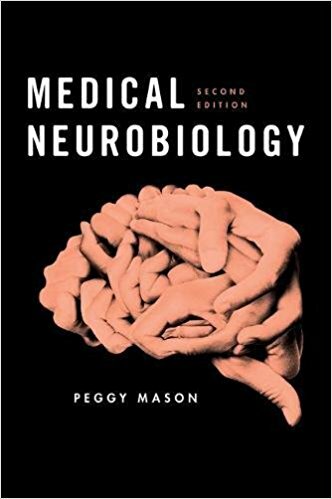 He ended his life at the age of 50 years by shooting himself in the chest, ensuring that his brain could be studied by the group at Boston University. How he must have struggled mightily against his diseased brain in order to be so generous at that final moment when he admitted ultimate defeat. The film tells the story of Owen Thomas, a football player at University of Pennsylvania. Mr Thomas did not suffer any documented concussions. Yet he killed himself at the age of 21 years old. 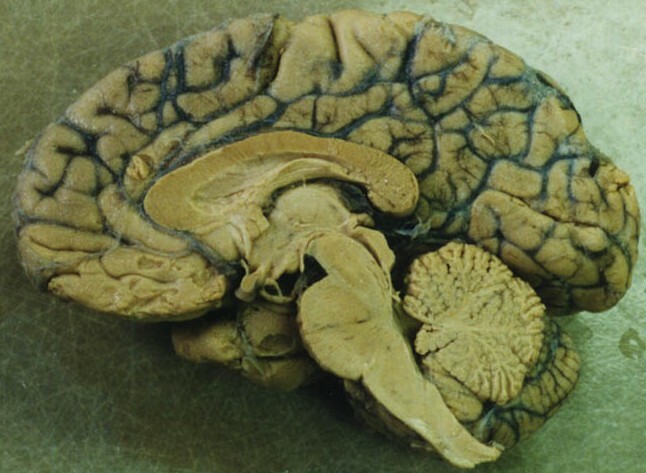 An examination of his brain showed CTE in the frontal lobes. As Dr Christina Master says, “You don’t get a pass on sub-concussive hits. They’re not free.” This is such a critical point. In essence, we should be looking for head trauma – either high head accelerations or head forces – rather than for symptoms of concussion. The film also avoids simple answers as it clearly shows how much playing team sports can mean to a child or young adult. Cindy Parlow Cone, a former Olympic soccer player, has strong feelings about head trauma and brain injury borne of personal experience. Having “seen stars” more than 100 times during her career, she now gets lost while driving. Yet she clearly loves soccer and remains in the sport. She now coaches teenagers. Ms Cone is adamant about protecting her charges, “When my kids get hit in the head, I immediately sub them out.” Similarly, Keith Primeau, a former NHL star, remains in the sport from which he retired with post-concussion syndrome. And now he coaches teenage boys, including his son. The movie presents diverse opinions on acceptable risk and does not proscribe a solution. It is striking that Ms Cone and Mr Primeau remain in the sports that both gave so much to them before ultimately robbing them of their futures. It is uncomfortable to watch Mr Primeau’s son discount his own injuries for the love of playing hockey. With few exceptions, the viewer sees teenager after teenager say that, given the choice, they would choose playing over brain health. Sport is a powerful social experience. Life lessons are learned, friendships are made, and camaraderie experienced. How do we balance these benefits with the potential harm that may result from sports? The film very soberly presents both sides of the equation and lets the viewer make up his or her own mind. Because of this even-handed presentation, the film will stay with the viewer for a long time as she or he contemplates the complexities of the issues. Please join Bruce Sheridan, Producer of Head Games, and me on October 21, 2014. We’ll be talking about the film, about documentaries in general and about the issue of sports and brain injury. It is all free at Science + Cinema: New Screen Frontiers. Though it should state CDT. This ” How do we balance these benefits with the potential harm that may result from sports? ” is truly the paradox associated with CTE,etc. The effort -and luck- it takes to become a ‘pro’ in sports that routinely cause head injuries would SEEM to be a counter balance to the benefits but are not. Does such have to do with how a society’s values are presented? Perhaps there is an underlying reason why soccer is more popular worldwide than U.S. football. Who knew the nose was such a crucial organ? I find it surprising that CYCLING is responsible for the largest number of head injuries in the US. According to an American Association of Neurological Surgeons (AANS) study utilizing CPSC data, there were an estimated 446,788 sports-related head injuries treated at U.S. hospital emergency rooms in 2009. This number represents an increase of nearly 95,000 sports-related injuries from the prior year. All of the 20 sports noted below posted increases in the number of injuries treated in 2009, except for trampolines, which posted 52 fewer injuries in 2009. Sports that exhibited substantial increases from 2008 to 2009 included water sports (11,239 to 28,716*), cycling (70,802 to 85,389), baseball and softball (26,964 to 38,394) and basketball (27,583 to 34,692). *Four categories were tabulated by the AANS in the current analysis that were not reflected in the 2008 injury data analysis, but together, these account for only 1,397 injuries. The actual incidence of head injuries may potentially be much higher for two primary reasons. 1). In the 2009 report, the CPSC excluded estimates for product categories that yielded 1,200 injuries or less, those that had very small sample counts and those that were limited to a small geographic area of the country; 2). Many less severe head injuries are treated at physician’s offices or immediate care centers, or are self-treated. Included in these statistics are not only the sports/recreational activities, but the equipment and apparel used in these activities. For example, swimming-related injuries include the activity as well as diving boards, equipment, flotation devices, pools and water slides. The following 20 sports/recreational activities represent the categories contributing to the highest number of estimated head injuries treated in U.S. hospital emergency rooms in 2009. That is really interesting Aaron. Thanks for digging that all up and sharing it. I suspect that two factors play into cycling’s “supremacy” in the realm of head trauma. First the denominator for cycling – aka riding a bike – is large. There are many more kids riding bikes than playing football or hockey, nearly infinitely more girls ride bikes than play the contact sports. Second, head injuries from cycling inevitably involve quite a bit of force because of the speed at which people are traveling and the high acceleration that inevitably results from toppling off a fast- moving bike. I also want to add a note about trampolines. I really love jumping on trampolines. The feeling of flight and weightlessness is invigorating. My sister-in-law has a trampoline and I always jump on it when I visit. This past August I was there and for the first time, the jumping made me feel uncomfortable. I felt as though my head were jostling around in its dural sac too much, just too much acceleration and de-acceleration of my brain. It was not quite a headache but it certainly was uncomfortable. I stopped jumping, and was sad. I don’t know what changed from the past when jumping did not make me feel uncomfortable. Mysteries. The “Head Games” is tough to watch. Brutal, moving and worthwhile to watch. 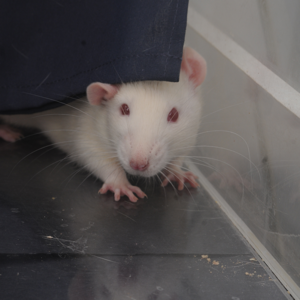 Wish you had been given more time at the CIE show. The thing I found most upsetting in Head Games is that even the parents who understand the risks or have suffered head injuries are not willing to make their children stop playing. I’ve read the blogs of a couple of young women who suffered head injuries playing volleyball. It’s very sad. And the pro football players know the risks and state that they still wouldn’t give up the profession even with knowing the risks. They’ve stated that there just is not any feeling like being in uniform and playing before the crowds and they have a VERY difficult time giving that up even after they are forced to. Pingback: Concussion is a counter-productive term: Let’s retire it | The brain is sooooo cool!